To talk about the contents of June’s issue… From Def Jam’s newest and brightest star Jahkoy, to the writings of Quashon Davis. Then experience the style and grace of She Lady Blue. 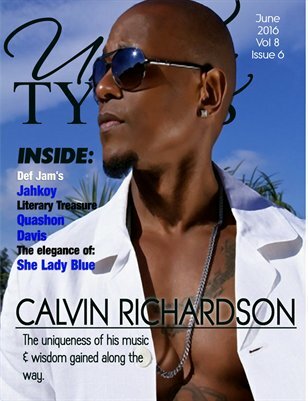 And we sit down and talk once again to the true Prince of RnB Calvin Richardson, as he reflects on his music, his time in the industry and being a Super Dad! You don’t want to miss this!